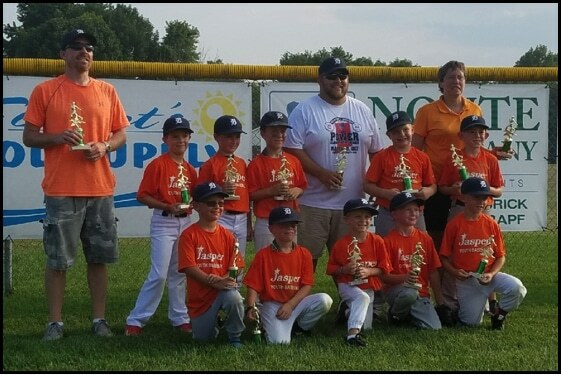 Quinten Knies (grandson of Patti Wigand, HR) and the Tigers won the Jasper Little League baseball tourney! Their record was 7 wins and 3 losses. They were ranked 3rd in the league at the end of the season. But came out on top at the tourney. Quinten is pictured in the 1st row, 4th player from the left. Congratulations Quinten! We’re proud of you! !